Shedworking: Why are shepherds' huts so popular? 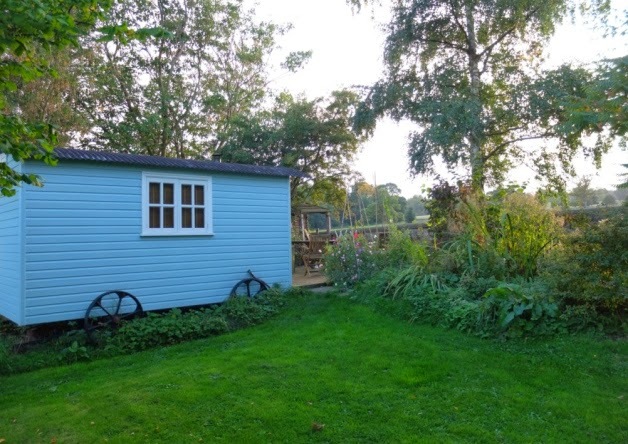 Writer Arabella Cornelius, who lives near Thirsk, opted for a Yorkshire Hut Company shepherd’s hut rather than a “shoffice”, due to portability. The fact that it’s a moveable structure appealed to me as I know I can take it with me if I move. It’s a safer investment. Arabella, a copywriter, has a deluxe version with underfloor heating, a log burner, sink, a fold down desk and a bed. It is, she says, the subject of some envy.